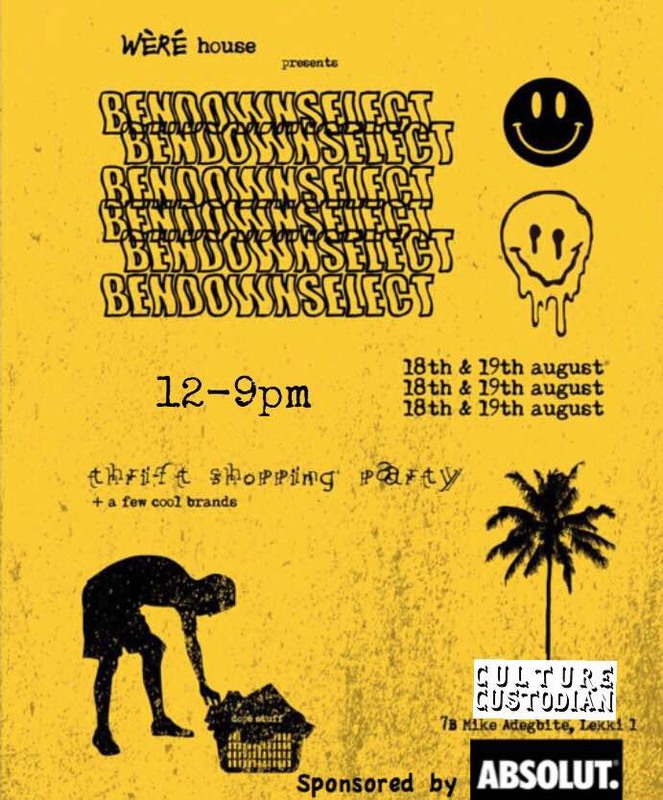 Fashion & Culture House, Were House is hosting a one of a kind concept store shopping party this weekend, on the 18th & 19th August 2018. #Benddownselect will hold at Wèré house, 7B Mike Adegbite road, Lekki Phase 1. The pop up concept store will feature music, art by the Anti Design duo. Absolut Vodka will be on hand to provide drinks to shoppers. The Concept pop up party will include brands like Tzarstudios, Bantsons & Waffles n Cream offering mouth watering deals available no where else.